Kpop fans sure had seen one of the stages below that are legendary in Kpop history. Not only the fans of the group but also non-fans also go crazy because of the legendary performances from these Kpop idols. Their excellent performances left a strong impression on so many people that these stages need to be recorded in the history of K-pop. BTS‘ reputation is not only covered in Korea, but also extends to the West. The group has made fans proud as they continuously appear on famous American shows and won many impressive awards. The group’s stage at the American Music Awards has become one of BTS’ most unforgettable performances. They were not only the first Kpop group invited to perform at the event, but reactions from the audience also made their stage more exciting and perfect. BTS had extremely successfully performance at the American Music Awards. 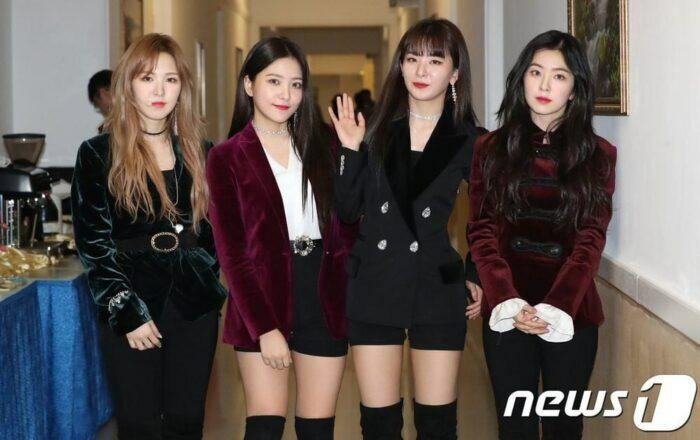 In March, RED VELVET had the opportunity to perform for the South Korea – North Korea Friendship Concert. Even Kim Jong Un was also there to watch their performance. Shortly after the concluding concert, the two countries had met in the historical summit where they agreed to officially end the Korean War meaning the show of good faith really did pay off. RED VELVET is one of the rare groups that have the opportunity to perform. At KBS Music Festival, TWICE has brought two remixes and a cover of Ariana Grande’s Greedy. Soon after that, Jihyo, Momo, and Chaeyoung quickly reached the top trend in Korea. TWICE’s performances at KBS Music Festival quickly became a phenomenon. VIXX‘s Shangri-La remix at MBC Music Festival 2017 is definitely one of the unforgettable stages in the group’s career. With vintage costumes plus fans, netizens couldn’t help but praised this stage of VIXX. Thanks to this performance, N and Hongbin also had the honor of being invited to the Blue House for a private dinner with the President and his wife and the group was even featured on the front page of the Blue House’s official website. The scary 10-minute black sea of SNSD‘s performance at 2008 Dream Concert was one of SNSD’s unforgettable stains. At that time, the members were very depressed because they had just debuted but were boycotted by the fans. However, SNSD has been able to stand up to their own potential and become a leading girl group of K-pop. 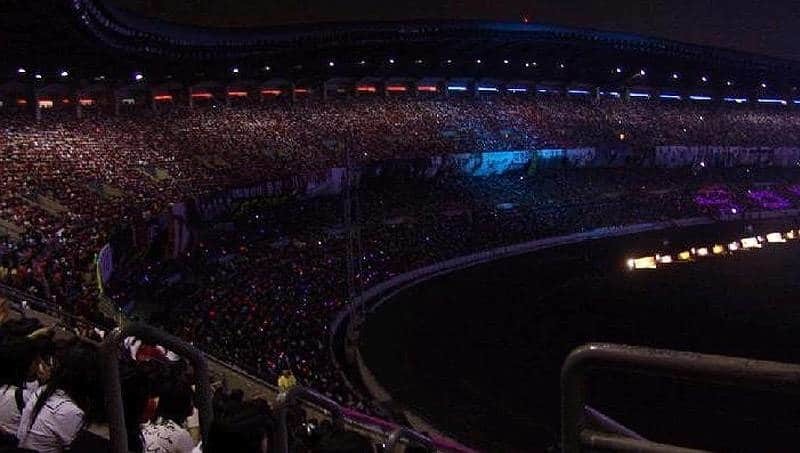 The dark sea at 2008 Dream Concert on SNSD’s performance. Wanna One held their debut showcase at Gocheok SkyDome with the participation of 20,000 fans. This is considered to be the biggest debut showcase in Kpop history. The performances at this showcase is extremely successful. 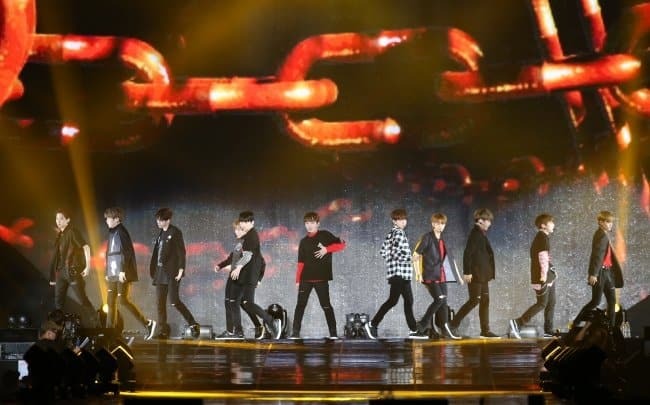 Wanna One brought memorable performances in their debut showcase. Standing on the brink of disbandment, the name EXID suddenly resurrected thanks to the legendary fancam of Hani. Since then, the “Up & Down” song of the group became famous, bringing the name EXID closer to the fans. “Up & Down” of EXID suddenly became hot thanks to the legendary fancam of Hani. Due to the extremely special nature, those stages have impressed the hearts of the fans. Although they have been for a while, these performances have always been referred to as the historical stages of K-pop. By which are you impressed most?